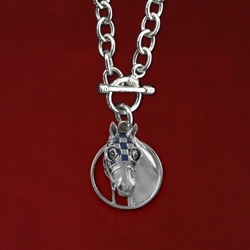 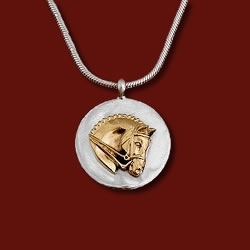 Hunter/Jumper horse head pendant with flowing mane on a snazzy 18″ box chain with lobster clasp. 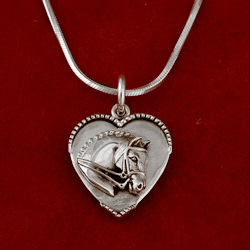 The frame measures 1″ wide by 1 1/4″ long. 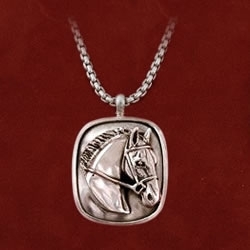 A perfect pendant for him or her!